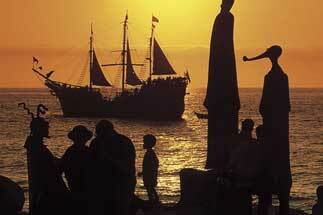 Puerto Vallarta has long been an important seaport for Mexico, and continues to welcome many cruise ships annually. The cobblestone downtown area is home to many art galleries, an active nightlife scene and welcoming atmosphere. Situated on the Bay of Banderas, the largest natural bay in Mexico, Puerto Vallarta has many different beaches from bustling to secluded on many miles of golden coastline. 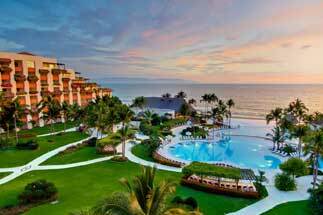 As a large-scale seller of Puerto Vallarta resorts and Puerto Vallarta vacations, we are able to offer you unbeatable prices and unparalleled value. 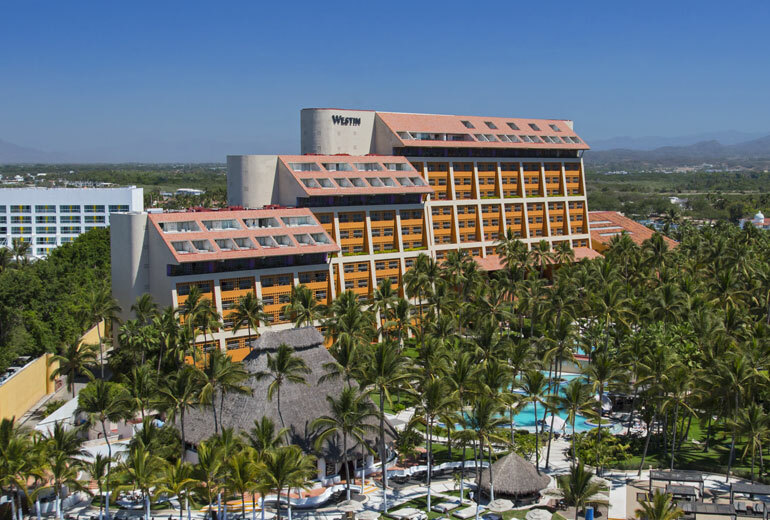 Once you have found the discounted Puerto Vallarta resort of your choice, please call our resort consultants at 1-800-340-8612 to book your vacation and save money with our first-rate personalized service! 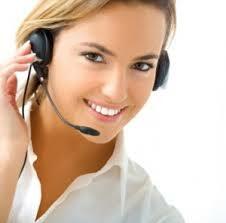 Book your Puerto Vallarta resort today with AffordableTours.com, your discounted resort headquarters. 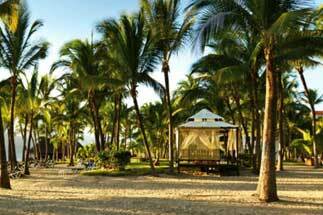 Location: At the Bahia de Banderas, on the Mexican Rivera's Pacific oceanfront white sand beach. The Puerto Vallarta international airport is a 10 minute drive. 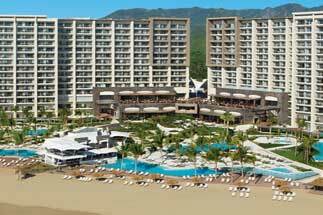 Hard Rock Hotel Vallarta is a beachfront, all-inclusive, family-friendly resort, situated on beautiful Banderas Bay in the heart of Riviera Nayarit. 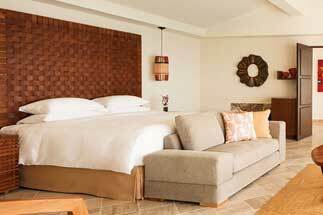 Situated on a tropical beachfront oasis on the azure waters of Banderas Bay, Velas Vallarta Suite Resort & Convention Center is a spectacular family vacation or corporate retreat in the heart of Puerto Vallarta, Mexico. Location: Situated in the Marina Vallarta development, ten minutes from downtown Puerto Vallarta. 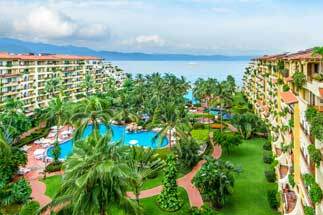 Nestled in the enchanting town of Puerto Vallarta and overlooking the sparkling Banderas Bay, The Westin Resort & Spa, Puerto Vallarta is a spectacular getaway. 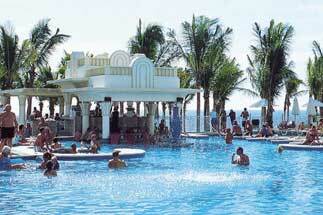 The Hotel Riu Palace Pacifico is located in Nuevo Vallarta, Mexico, and is undoubtedly the Riu's most luxurious hotel in the area. 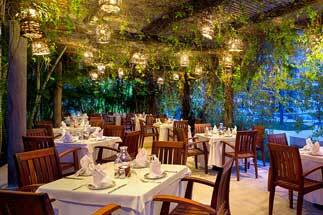 The high quality service and professionalism of its staff make this hotel the perfect place to spend your holidays. 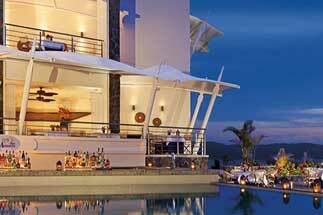 Welcome to Crown Paradise Club in Puerto Vallarta Mexico. 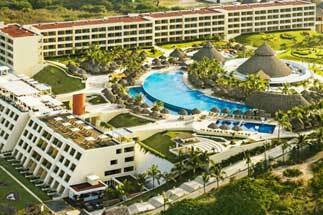 The Riu Jalisco is guaranteed to make dream holidays in Mexico come true. Location: Located in the heart of Marina Vallarta. 5 Minutes drive from Puerto Vallarta's International airport and 10 minutes from the downtown area of Puerto Vallarta. Located in the heart of Marina Vallarta. 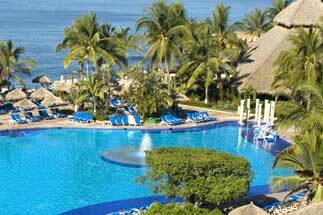 5 Minutes drive from Puerto Vallarta's International airport and 10 minutes from the downtown area of Puerto Vallarta.